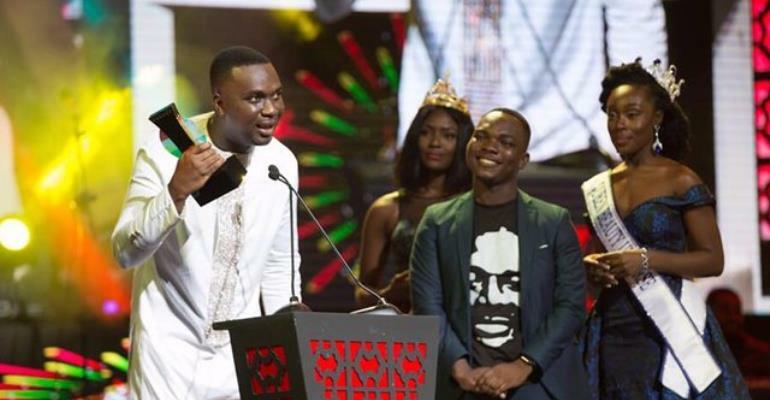 Over the years, there has been a general perception that for the 20 years that the Vodafone Ghana Music Awards (VGMA) has been in existence, Gospel music has not been treated fairly. There may be some truth in this as in 19 editions of the VGMA, only one Gospel artiste, Joe Mettle, has won the topmost Artiste of the Year award; he won in 2017. Again, no Gospel song has won the next big category of the VGMA, which is the Song of the Year. As the VGMA turns 20 this year, Showbiz has been speaking to some stakeholders on how true this perception really is. Gospel musician, Rev. Dr Thomas Yawson, who is the Second Vice-President of the Musicians Union of Ghana (MUSIGA), said he did not think that was the case. “Gospel musicians haven’t been sidelined at all, there are categories they can compete for like the Artiste of the Year, Album of the Year, Best Music Video, Female Vocalist of the Year and Male Vocalist of the Year, these categories cut across so anyone can win. “If Joe Mettle was able to win Artiste of the Year, any other Gospel artiste can also win with hard work, everybody has to work hard, if they want to win laurels at the VGMAs,” he stated. Kwesi Ernest is the CEO of Media Excel Productions and has worked with artistes like Joyce Blessing and SP Kofi Sarpong. For him, it is a yes and no answer. “VGMA has brought attention to the Gospel sector. It opened huge brand-positioning opportunities for Gospel artistes. “It also brought competition among the Gospel artistes and challenged them to produce quality and there has been an improvement in performances as every Gospel artiste wants to catch the eye of the VGMAs, “ he said. “The negative thing is that Gospel musicians and the categories they receive are not many, it gives the impression that they are being cut out. “Again, Gospel musicians have not received a fair share of advertisements, we can have about 15 performers for the VGMAs with only one Gospel artiste. That makes it look like Gospel artistes come second. “When a Gospel artiste wins the Artiste of the Year like Joe Mettle did, they are not given much push like they do with the secular artistes, I stand to be corrected but I think the publicity like putting them on billboards and pushing them for international awards is low. “We must accept that Gospel music has come to stay so let’s give it the same attention we give to other genres,” he concluded. Fiifi Folson of Sunny FM believes that Gospel artistes need their own scheme. “Gospel is simply the message yet we have only one, two or three categories in the VGMAs termed gospel. Joe Mettle has a song titled My Everything which fits into Afrobeats but it will only be nominated in the gospel categories. “Gospel is the leading genre everywhere you go, Daughters of Glorious Jesus came close to winning Artiste of the Year and Joe Mettle eventually won. Gospel is all over, across the churches and everywhere you go but the awards is populated by secular music,” he said. Akesse Brempong is a Gospel artiste who believes that gospel has been narrowed to Gospel Song of the Year and Gospel Artiste of the Year. “There are Gospel musicians who are heavy on rap, I, for instance, I’m heavy on Reggae. When we talk about Highlife Song of the Year and there is a Gospel song that fits it, it should be considered. I also think the selection of the songs and categories should be more open,” he said. Showbiz spoke to George Quaye of Charterhouse, organisers of the VGMAs, who said it was unfortunate that the gospel artistes felt that way. “The awards was not set up to serve one particular genre but to serve all genres, it is always unfortunate that one side feels they’ve been sidelined,’’ he observed. Commenting on the Daughters of Glorious Jesus statement that they will not file for nominations because they deserve to be honoured after 30 years in the industry, George Quaye said, “ I agree 200 per cent that they deserve to be honoured so do Tagoe Sisters, Mary Ghansah, Yaw Sarpong, Seth Frimpong, it’s a tall list. “What about Reggie Rockstone who created a whole genre? What about Kojo Antwi, Amakye Dede and Daddy Lumba. The Lifetime Achievement Award is just one, perhaps what the scheme should do is to give a Lifetime Achievement for every genre. “Suggestions are welcome, instead of feeling sidelined, they should pray that we grow to be 25, 30, 35, 40 by which time we would have honoured everyone,” he said.